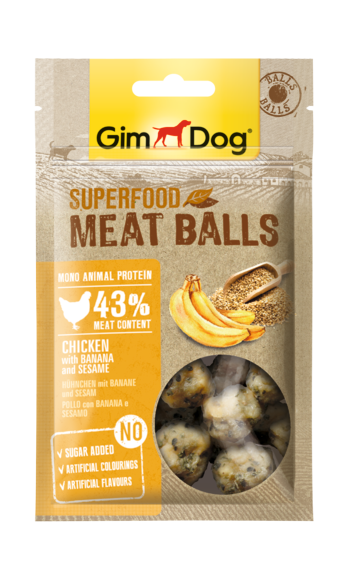 GimDog Superfood Meat Balls combine high quality chicken with selected superfoods. Only one animal protein source is used for these delicious snacks. Bananas have naturally high levels of vitamin B6, folic acid and minerals such as magnesium and potassium. Sesame contains proteins and fibre, is rich in minerals and therefore also known for its health-promoting properties.